On this week's edition of the NASCAR Roundtable, our team previews the Bristol night race. 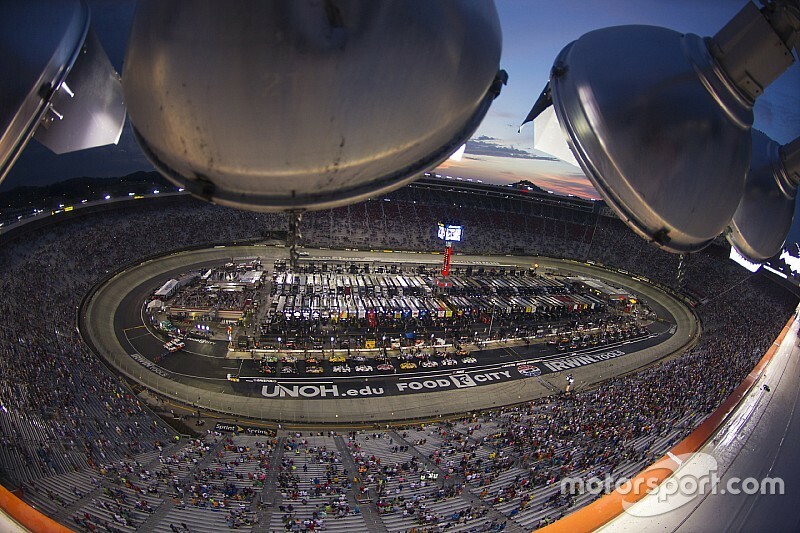 For over a decade, Bristol Motor Speedway was the only night race in the NASCAR Cup Series schedule. 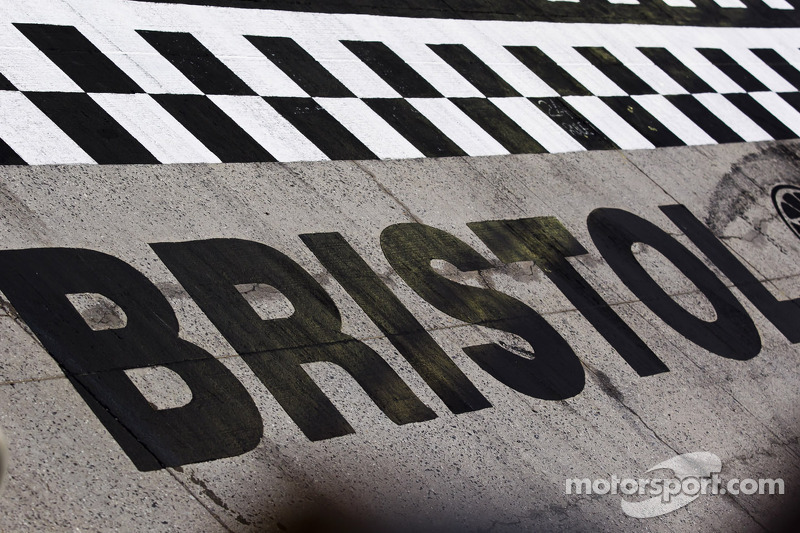 Now with many other night races, does Bristol still hold any special distinction in your eyes for its August event? Jim Utter: I think Bristol still holds a special distinction because it's Bristol - a short track with high banking and penchant for tempers flaring. 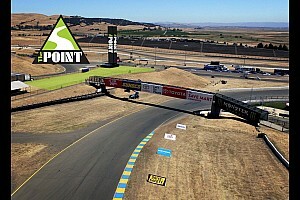 Most of the rest of the night races added I believe have diluted to the overall racing product, in large part because hot, slick intermediate tracks make for far better racing conditions then cooler temperatures at night. NASCAR would be well-served but cutting the number of night races, particularly those on Saturday night - it's the smallest TV audience of the entire week. Kenny Bruce: Yes. In large part because of the history behind the race. Other tracks hosting night races may be building toward that, but few can match the 40 years’ worth of “cage-rattling” happenings. And most played out before a packed house. The race remains on most fans bucket list and rightly so. Nick DeGroot: Yes, there's still something special and unique about the Bristol night race. There's just something iconic about it and stands out against all other night races. It even stands out against the spring Bristol race, which is held in the day time. Between the history, the imagery of the cars tearing around that half-mile at night and the heightened tension with the playoffs looming, it just makes for a grand spectacle that never fails to deliver. Tim Southers: I think it’s still special because of the historic significance of the race and that it’s still the one night race NASCAR fans most often talk about when asked about night events. Although the demand for tickets has fallen off some recently, I can still remember as a teenager asking about tickets and being told there was a 10 year or longer waiting list. Brett Moffitt used a daring pass to beat Johnny Sauter last weekend in a photo finish at Michigan. How big of an accomplishment is it in your eyes that he's equaled the former champ in wins this season? Jim: It's been an impressive run for Moffitt this season and a reminder that he was never able to tap his full potential at Michael Waltrip Racing. Until Sauter's strong run at Michigan, it also appeared Moffitt and his Hattori Racing Enterprises team had perhaps surpassed GMS in performance as the series prepares to enter its playoffs. At worst right now, the two organizations appear to be neck and neck - and that should made the playoff battle that much more entertaining. Kenny: Moffitt has been one of those “under the radar” drivers for most of his brief NASCAR career. But it’s obvious he has the talent necessary to put a team in victory lane. That he’s won four times with Hattori Racing Enterprises says much about him as a driver and the personnel pushing to make the team better. Nick: It's impressive on several levels. First, no one would have predicted that Brett Moffitt and Hattori Racing would be (along with Johnny Sauter) be leading the way in wins this year. But beyond that, this is a team that has wondered more than once this year if they would have the sponsorship to race the following weekend, and here they are as a legitimate title threat. Tim: I think Hattori Racing Enterprises is the most ‘over-achieving’ team in any NASCAR division because of what they have been able to accomplish this season with minimal resources of help in the shop and sponsorship. It’s a feel-good story that I feel hasn’t been given enough attention. Brett Moffitt has always had the talent and I’m glad everyone is seeing what he can do this season. 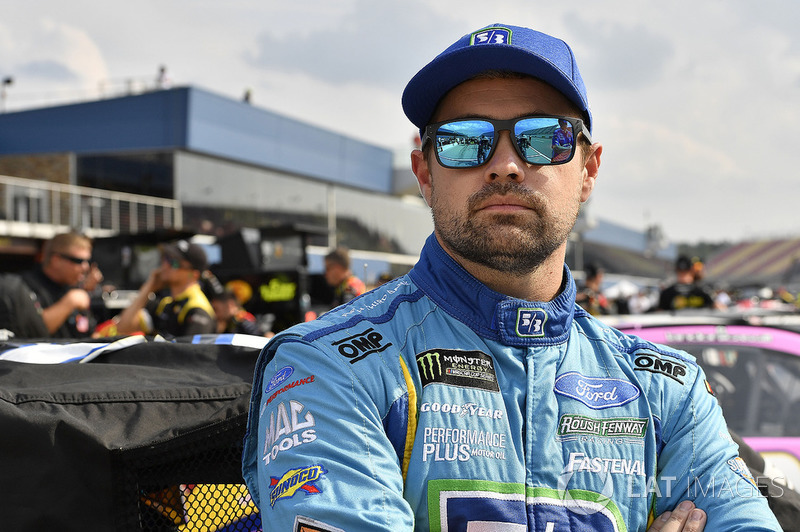 Ricky Stenhouse Jr. all but needs a win to make the playoffs and he's ran well at Bristol in his career with six top-10 finishes in 11 starts. Do you think he has a realistic chance to score a win on Saturday night? Jim: Absolutely. You do what you have to do to get in the playoffs and deal with the consequences after. In fact, that appeared to be Stenhouse's philosophy at the first Bristol race this season and the stakes are even higher now then they were then. If he has a car capable of running up front on Saturday night, I expect Stenhouse to do whatever it takes to keep it there. Kenny: Bristol has been a good track for Stenhouse in the past and it’s been that way regardless of how he and the No. 17 team have performed elsewhere. I believe Bristol provides yet another opportunity for Stenhouse to come away with a good result. But a win would be an exceptional accomplishment. He’s yet to lead a lap at the high-banked half-mile track in 11 starts. Nick: Outside of the plate tracks, it's his best shot. He finished fourth there earlier this year and leads all average drivers with an average finish of 10.2. And yes, he likely needs a win to make the playoffs, but that entire organization is in need of a checkered flag after the struggles they've faced this season. Tim: It wouldn’t surprise me at all to see Ricky Stenhouse Jr. in Victory Lane on Saturday night. He has always seemed to run well and the track fits his driving style. Add the fact that he’s desperate for a win to make the playoffs and I think he’ll be one of the drivers to watch this weekend. Several drivers need a win this weekend in the Xfinity Series to secure a playoff berth. Who do see on the outside looking in that could score a surprise victoru at Bristol on Friday night? Jim: I'm not sure there will be any surprises at Bristol. It's unlikely that someone on the outside looking in is suddenly going to find speed they've been missing all season long. Plus, the series takes 12 drivers to the playoffs (way too many in my opinion). However, short tracks do tend to be equalizers and if there is a driver on the outside looking in of the playoff picture who could surprise, I'll go with Alex Labbe. He has had speed at times this season and is fresh off his first Xfinity Top 10 finish. 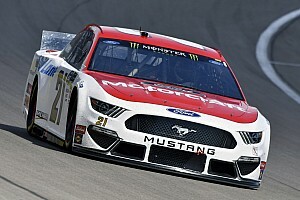 Kenny: From a points standpoint, those just inside the 12th-place cutoff appear to be safe but I’m sure a win would make folks such as Ryan Reed (11th) or Ross Chastain feel better. Among those outside the top 12, any would appear to be a longshot, unfortunately. 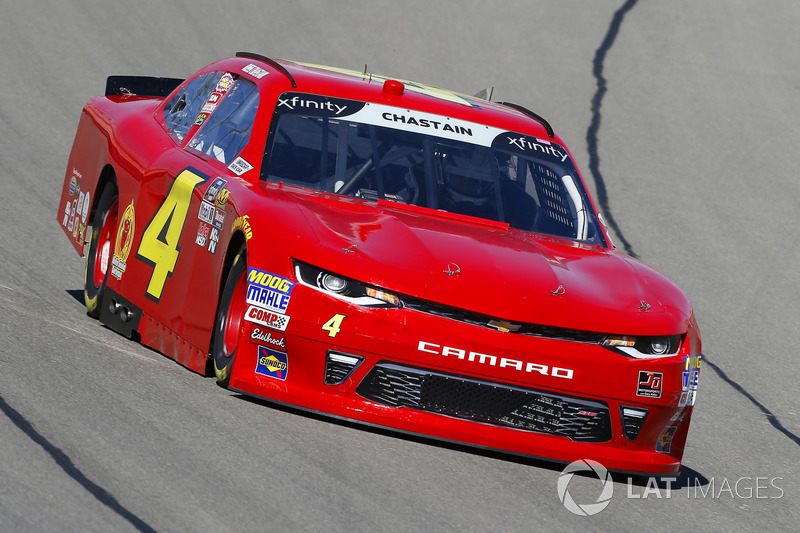 Michael Annett is 13th and still searching for his first top 10 of the season and guys such as Ryan Sieg and Jeremy Clements have one top 10 each. Nick: As for longshot winners, I'd go with Ross Chastain. It would be quite an upset, but he's had a few bright spots this year including a fourth-place finish at Iowa and a ninth-place finish at Bristol earlier this year. Tim: I’ve been accused of being a Canadian ‘homer’ at times this season and my underdog pick won’t do anything to stop that trend. I’m going with Alex Labbe. The former NASCAR Pinty’s Series champion finished 11th at Bristol in the spring and is coming off of his first top-10 finish in the Xfinity Series last weekend. If he can get a little racing luck and avoid the ‘big one’ at Bristol, he could shock the NASCAR world with a win on Friday night.